Barack Obama is a magnificent orator and speaker. Mesmerizing his audiences, he speaks for almost twice as long as the average political speech – 20-30 minutes longer than most political speakers. His audiences come away deeply affected by the experience. Since a new election is close, it is time to talk about the elements of charisma and how he uses them. Maybe we can learn something. As good an orator as Barack Obama is, we believe that his brilliant speaking skills and his overwhelming charisma is not just something one is born with, it is something that can be taught. As good as he is,Obama’s oratorical skills are certainly no better than John F. Kennedy, Martin Luther King, Robert Kennedy, Bill Clinton, Tony Blair and others who have been trained in NLP. Most important to understand is that there is nothing that the President does that you cannot learn to do yourself. 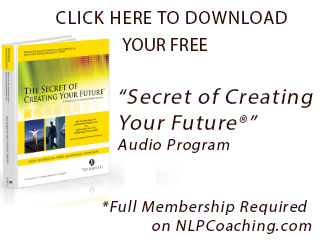 You can become a truly magnificent speaker. In this article we will look at a few of Obama’s many skills and techniques and how you can use them in your speeches and presentations. Assuming there is some interest, we will take the time to do a series of articles and breakdown what he does so skillfully. We will look at what he does specifically and how you can do it too. First of all, some things you need to know. In NLP jargon, an anchor is a technique where the speaker programs his audience to respond in a certain way from a specific stimulus. The anchor can be a word said in a certain way (usually changing tonality) or a gesture or both that will mark out the internal feeling that the audience is feeling at the time for later recall, creating a response. A speaker can anchor certain internal feelings and states that the audience will recall on cue. 1. First he makes a statement that is undeniable but vague such as, “the country is going in the wrong direction”, “the economy is bad”, or “we need to get an education for every child”. This is undeniable to the listener – he is pacing the listener’s thinking with a Yes-Set. So, with each statement Obama makes the listener says “yes”. 4. “I will be your next President.” He has taken the Pace (1, 2, and 3) to a Lead in 4. Are the anchors used and the phrase anchors and the hand gestures used just a sign of a born orator? 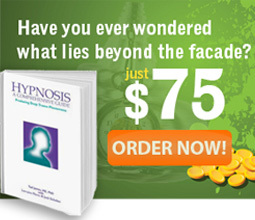 DO the hypnotic language patterns he uses just come naturally or are they learned and used for a specific purpose. We believe they were learned for a specific purpose, and that he like other Presidents was trained in NLP. In fact, on July 24, 2009, the New York Times reported that President Obama said that he “could have calibrated” his words more carefully. “Calibrated” is a part of NLP jargon. The only people who use that word have been NLP trained.